*Sheet capacity varies depending on thickness & weight of paper. 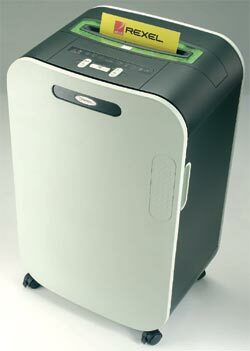 ** THE EXTENDED WARRANTY DOES NOT INCLUDE NORMAL WEAR AND TEAR OR EXCESSIVE CD SHREDDING. IT COVERS THAT THE CUTTERS WILL BE FREE FROM manufacturing defects. 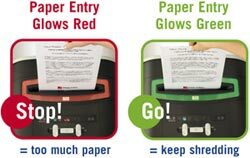 The shredder mouth illuminates to warn when there is too much paper inserted. Remove sheets to continue shredding. No time wasted, no mess made.